When I was a teenager growing up in Phoenix, Arizona, Pink Floyd was one of THE bands that real serious rock aficionados hailed as being the best. Their music was considered deep, meaningful and intelligent. Their album, Dark Side of the Moon, ruled the turntables of many a teenager’s stereo, including mine. My favorite music store in those days was called Wide Wide World of Music and was in our new mall, MetroCenter. The front two thirds of the store were albums (yes, the vinyl kind) and musical instruments. The back third of the store was raise up about four feet and had high stereo equipment with the back wall being a wide array of the best speakers money could buy. One day I walked into the store as the alarm bells from the beginning of Pink Floyd’s Time came blaring out of the wall of speakers in the back of the store. As my stylishly long hair was sonically being parted down the middle, I felt my innermost being getting rocked to the core. I’ve obviously never forgotten the experience. These days, Pink Floyd doesn’t tour much. 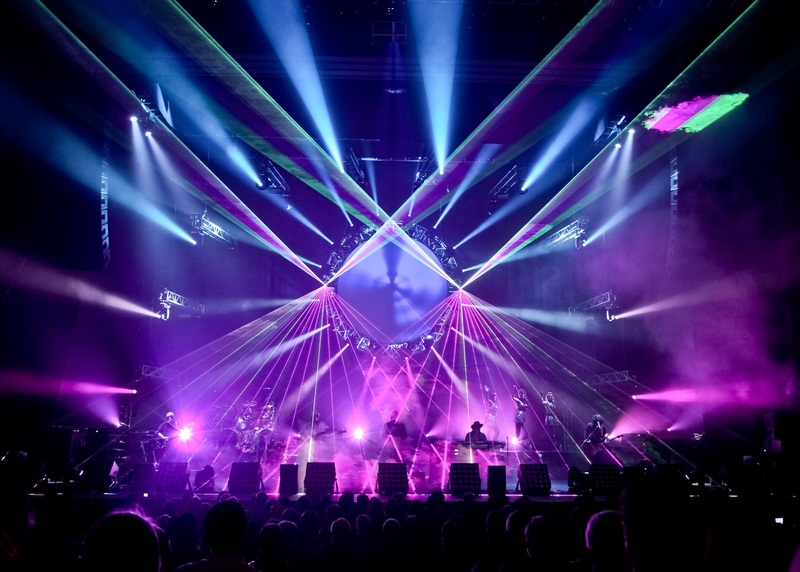 You’ll occasionally get a chance to catch a gig by David Gilmour or Roger Waters but the odds of a Pink Floyd tour happening are, well, on the dark side of the moon. However, don’t despair. There is a tribute band that is (I dare say) every bit as good as the original (and I don’t make that claim lightly). 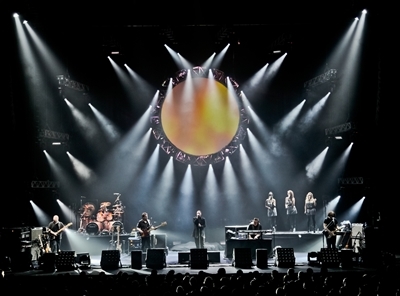 They are The Australian Pink Floyd Show and have been hailed as being at the top of the tribute band tree. “Aussie Floyd” was formed back in 1988 by guitarist Lee Smith in Southern Australia capital city of Adelaide. Smith formed the band with his drummer, Grant Ross and bassist, Trevor Turton. They recruited Steve Mac and Jason Sawford for additional guitar, vocal and keyboard work and off they went. Over time, there were a couple of personnel changes with the current band line-up consisting of: Steve Mac (guitar/vocals), Alex McNamara (vocals/percussion), Colin Wilson (bass), Jason Sawford (keyboards), Paul Bonney (drums), Dave Domminney Fowler (guitar), Mike Kidson (sax), Lorelei McBroom (lead/background vocals), Lara Smiles (background vocals), Emily Lynn (background vocals) and their top-shelf sound engineer, Colin Norfield. Since their humble beginnings, the band has gone on to sell over three million concert tickets for shows in thirty-five countries. To give you an idea of just how good these guys are, they were asked to play for David Gilmore’s 50th birthday celebration. With a new world tour starting up again here in the states this month, I was given the opportunity to chat with original member and keyboardist for the band, Jason Sawford. He called me from England to talk a little bit about the tour and the band. About touring, I asked Jason how much of the year the band is typically on the road. “We’re pretty busy. I mean, I think we’ve done about 120 shows in the last year. Of course, you have all the travel days getting there so we’re on the road a lot of the time. I don’t get much time at home at all. I just view my house as a stopping over point, really”, Sawford concluded with a chuckle. The business geek in me had to ask Jason what kind of logistics is involved with getting a show like theirs on the road. He said that, “It is really involved. When we started out many years ago, it was just a few guys and we used to drive ourselves to the show. But now we’ve been doing it for over twenty years and it’s become a pretty big operation now. We have to have a separate management company that organizes everything. We’ve got to get the tour buses; we’ve to get the equipment to and from; we’ve got to work with lighting companies and sound companies and get everyone who lives all over the place together to rehearse. In doing my research for this interview, I read that Mr. Sawford puts a tremendous amount of time perfecting his part of the sound of the band. I asked him if he feels that he’s reached perfection yet. “It’s pretty much an ongoing process. I think we’ve done very well and we’re getting better and some of the sounds I’m really proud of. What amazes me about the music is I can listen to a classic album like Dark Side of the Moon or Animals or whatever and I’ve must have listened to them umpteen times and I always discover new things, new little subtleties in the music and trying to recreate that sound – that little bit of feeling or phrasing of the music. There’s always something new to discover in the music so you never really finish it. You’re never totally satisfied. The people out there listening to it might not know the difference but we notice it so we’re always working at it to make it better. I think people do appreciate it. Jason and his band mates have been asked countless times about what Pink Floyd albums that they can and can’t do in their shows so I asked him that question. However, I did ask him, of all the things they’ve been able to do, what haven’t they yet done that they think is doable on stage? 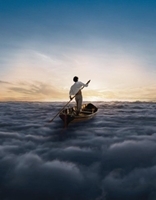 Aussie Floyd has had some interaction with the members of Pink Floyd. I asked Mr. Sawford if any of them shared anything with him or his band mates like, “Wow! If we had this kind of technology when we started out . . .” or something similar. When this is all said and done and you all are on the dark side of the moon, how do you want to be remembered and what do you hope your legacy is? “Well, you know, it’s funny, because, as a tribute band paying tribute to a band that, obviously, is a very great band and they’ll be remembered for their music and we’re sort of in their footsteps and shadow, in a sense. But I do like to think we’ve done is preserved the memory of one of the great bands. It’s almost like we’re like a classical orchestra in a rock music tradition and we’ve continued it on and studied it like scholars and preserved it. It opens up new potential for what musicians can do; what was once this rock band can now be remembered and preserved live. 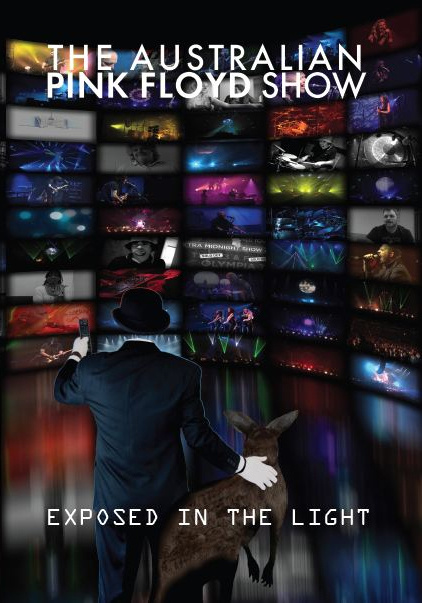 I plan to catch the Dallas stop of The Australian Pink Floyd Show here next month. I’m sure that Time will be blaring out of the band’s wall of speakers on the stage and my now less-than-stylish hair will be sonically parted down the middle and I will feel it in my innermost being while getting rocked to the core. And I expect that I’ll, obviously, never forget the experience.